Lightning never hits the same spot twice but what about your feet? There is a lot of information out there that tells us about the “perfect” strike location of the foot when running. What does this actually mean? What are the benefits and the risks? Is there such a thing as the perfect running style? There are 3 areas of the foot that we can impact the ground with. HEEL STRIKE: This where the heel is the initial point of contact with the ground. Heel strike pattern can increase the chance of overstriding. Overstriding is the running term which relates to the position of the foot in relation to the bodies center of mass. It infers that the foot strikes the ground out ahead of the body, creating a “braking” force before continuing to propel the body over the foot. MIDFOOT: This is when the ground is impacted with the whole foot. It generally means that our strike position is closer to our center of mass, it is described as being a more energy efficient striking pattern whereby the common cadence is estimated around 180 steps per minute. FOREFOOT: Tippy toe runners or those who strike the ground at the metatarsal heads. This brings the foot underneath the runners center of mass and is a common position that a sprinter running short distances may adopt. This can be reflective of barefoot running. There have been studies that look into the strike pattern of sub-elite marathon and half marathon runners. One particular study by Larson et al (2010), found that of 936 runners at the 10km mark, 88.9% struck the ground with their rearfoot, 3.4% with their midfoot, 1.8% with their forefoot and 5.9% had an asymmetric strike pattern. Associations have been made between heel striking and a higher risk of injury due to an increase in peak impact pressure or spike in ground reaction force (K. A. Kirby, n.d). While this may be true, these runner should still be considered efficient. They are able to complete training for their event without injury that inhibits their ability to race, they’ve been able to put in the time and dedication to get them to the finish line and 88.9% of them struck the ground with the rearfoot. Literature suggests that a midfoot striking pattern significantly reduces the risk of injury by reducing the energy needed by muscles and tendons to generate a continued forward momentum. It should be noted that for any runner who does not naturally strike the ground at their midfoot, a change in their running style may increase risk for injury due to the varied muscle activation, greater fatigue and varied force. Energy expenditure may also be higher when running with ‘unnatural’ gait at slower running speeds. The reasons for changing your strike pattern should be carefully considered. The strike pattern that allows you to run, train and race injury free is the best strike pattern for YOU! It would be advisable to discuss with a health professional or running coach if you are considering a change to assist in reducing the risk of injury while you adapt to the new style. K. A. Kirby. (N.D). 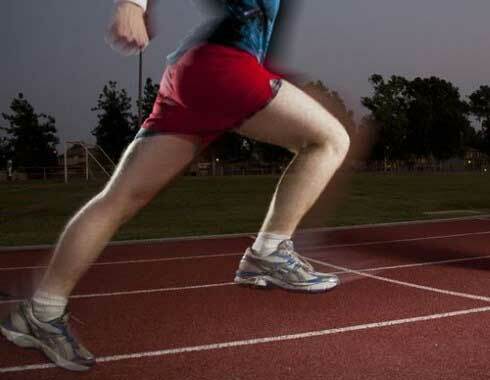 Running Footstrike: Rearfoot, Midfoot or Forefoot Striking, Which is Best?. Facebook via Kevin A. Kirby, DPM.